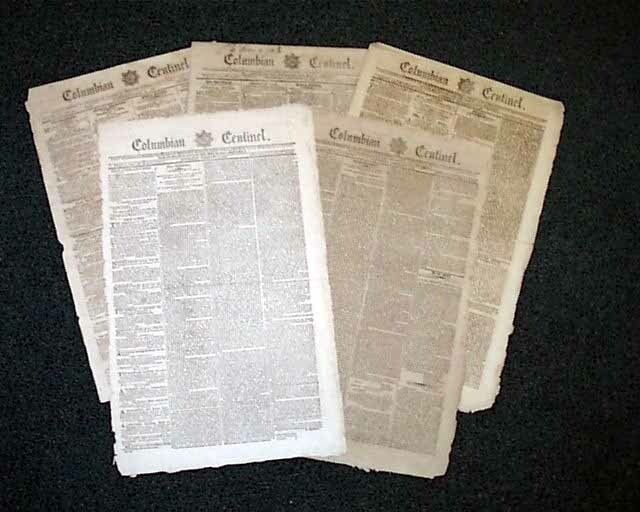 Item # 649216 AN EARLY LOT - Five issues of the Columbian Centinel newspaper dating from 1794 to 1799. Each issue is in nice condition (not 2nd-rate). Increasingly rare from the 18th century. News of the day & period ads.